The US had an estimated three million unauthorized foreign residents in 1980, and their number rose to four milling="n 1986. In 1987-88, some 2.7 million unauthorized foreigners were legalized, but more arrived, and the number of unauthorized was 2.9 million in 1989. 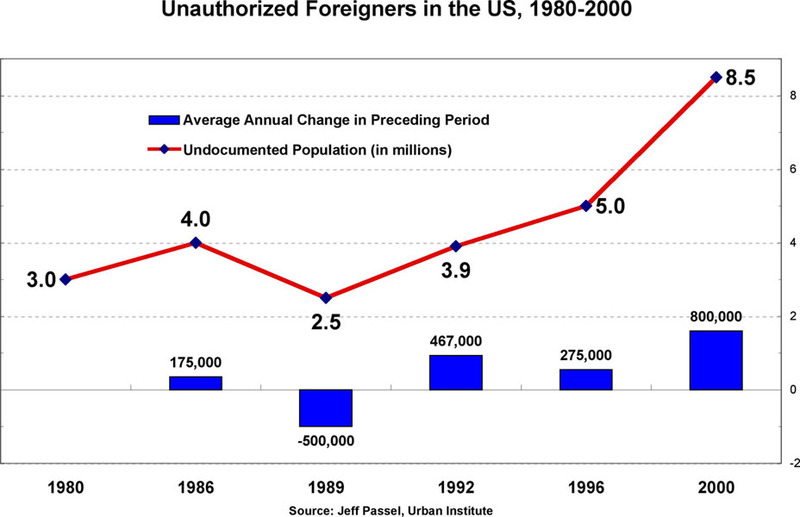 During the 1990s, the number of unauthorized foreigners tripled, reaching an estimated 8.5 million in 2000.